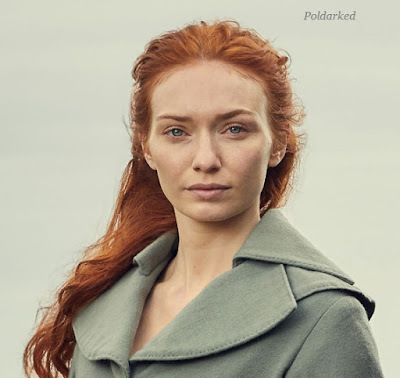 Eleanor Tomlinson relishes the fact her character, Demelza, becomes such an independent woman in the fourth series of Poldark. After the climactic end to series three, Eleanor talks about the struggle of Ross leaving Demelza and setting off to London. Eleanor admits that she was pleasantly surprised by the fan reaction to the dramatic ending to last series. ‘The fans are rooting for Ross and Demelza because that is who they love. They know as well as Demelza and Ross do, that they should be together and that they work well together. What was great was that the fans seemed to really embrace the fact that Demelza did go off with Hugh in the end; they had a positive reaction to that which I wasn’t expecting. They understood Demelza’s actions because Ross was not showing her respect nor was he leading by example and so most people have been very much ‘Go Demelza!’ which has been amazing. It’s wonderful to feel the fans supporting her. Eleanor reveals that audiences will get to see Demelza venture to London this series, however this doesn’t go as well as she might have hoped. ‘London starts off with the best intentions but it doesn’t work out. She feels insecure about how to behave and is constantly questioning herself. Whilst she has become somewhat used to dealing with the Cornish lords, going to London and dealing with these people is a completely different kettle of fish and of course, George and Elizabeth are there causing problems at every turn. Whilst London life may not be for Demelza, she is extremely busy in Cornwall trying to play cupid to both of her younger brothers. 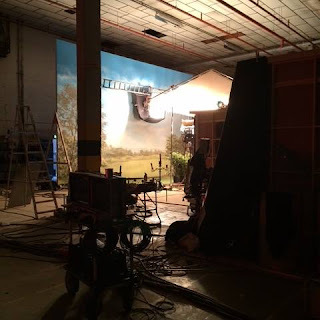 ‘This series we see Demelza trying to marry off Drake (Harry Richardson) to Rosina Hoblyn (Amelia Clarkson), which is all to mend his broken heart over Morwenna (Ellise Chappell). We also see Sam (Tom York) breaking his heart over Emma (Ciara Charteris) so there is a lot of heart ache for the boys this series and Demelza feels that strongly. She is very protective over her brothers and she wants the best for them. They are not quite fitting in as they should but in a very Demelzaesque way, you really see the parallels between the siblings. Taking care of the men in her life is a big part of Demelza’s storyline this year, which is why her friendship with Caroline (Gabriella Wilde) is even more poignant. Eleanor talks to us about the importance of playing this role, in this drama, at this time.